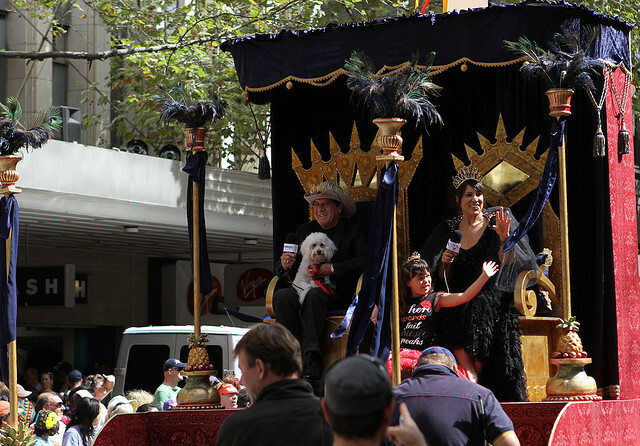 An annual event no less iconic to Melbourne as Aussie Rules and the Melbourne Cup is Moomba. One of the biggest and longest-running festivals in Australia since 1955, Moomba has become a social institution and commanding a recognised place in the multicultural history of the city. One of its most celebrated components is the Moomba monarchy. 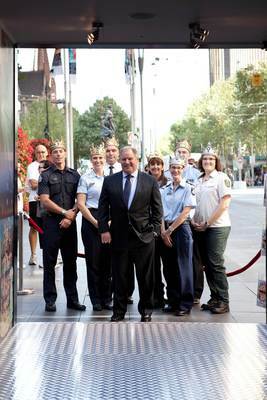 A wall of photographic portraits of the Moomba kings and queens alongside their royal robes, crowns and sceptres are documented in the City Gallery, set in the Swanston Street facade of Melbourne Town Hall. The tradition ceased in 1999 but was restored in 2010 with music bigwigs Molly Meldrum and Kate Ceberano being named King and Queen of Moomba. Moomba has always sought community involvement since its early festivals and it is heart warming that 8 community organisations are celebrated at Moomba 2013 instead of TV personalities, artistes, models and sportspeople. The Victorian community heroes include the Country Fire Authority (CFA), Metropolitan Fire Brigade (MFB), Victoria Police, Victoria State Emergency Services (SES), Ambulance Victoria, St John Ambulance, Land and Fire Management Division of The Department of Sustainability and Environment and the Salvation Army. 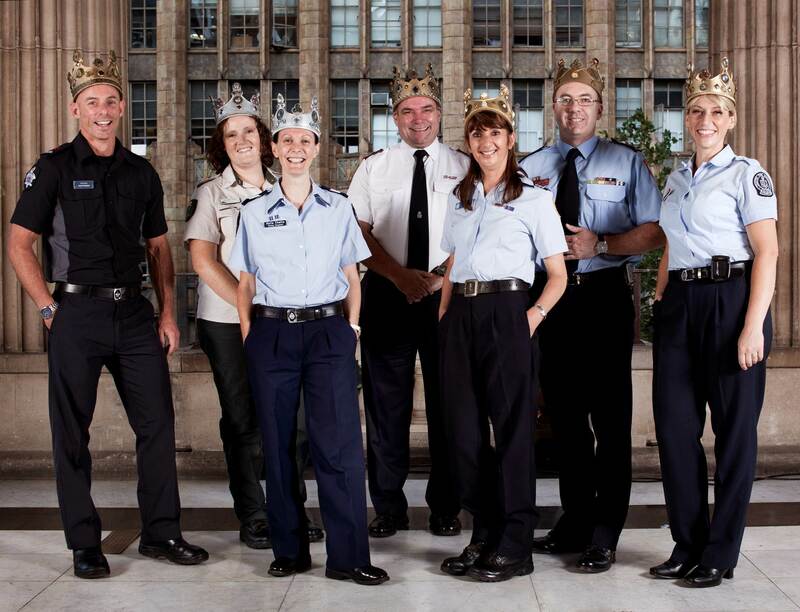 Seven staff and volunteers have been selected to represent their organisations and the people behind the uniforms as the Kings and Queens of Moomba 2013. Lord Mayor Robert Doyle shared that the "staff and volunteers of these organisations deserve" recognition and the 8 services "have nominated these individuals as representatives who exemplify the courage that community and emergency service personnel show in their everyday working lives". By celebrating Victoria's community heroes in Moomba 2013, the City of Melbourne also pays well-deserved tribute to the many volunteers who play a vital role in providing essential support to a wide range of sectors, including fire fighting, lifesaving, and emergency response, health, welfare and care services, and arts, heritage and tourism. 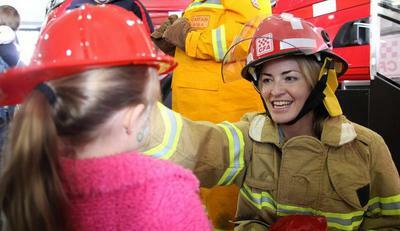 Volunteers also contribute some AUD10 billion to the Victorian economy each year. To find out more about the 7 Moomba Kings and Queens and their community organisations, I caught up with the City of Melbourne as they honour our community heroes for their extraordinary service to the city. 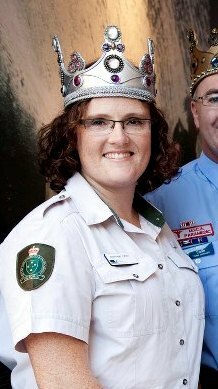 CFA's royal representative and a Queen of Moomba, April Himmelreich, comes from a family of CFA members with 30 years of service each by both parents and she been a member of CFA since the age of 11. 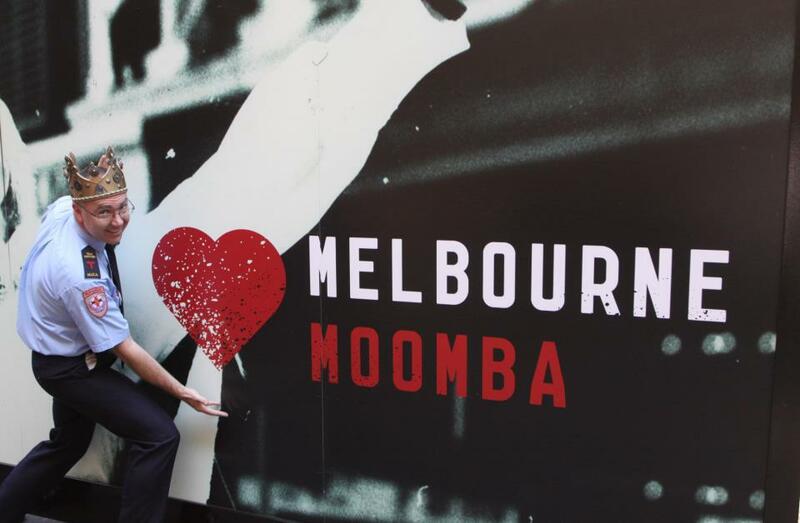 She has also been a Moomba supporter since she was a child. No stranger to fire safety and prevention, April has been championing the cause in her community through education programs such as the 'Fire Safe Kids' School visits and developed a live stage production to engage with families, staring herself & Captain Koala. 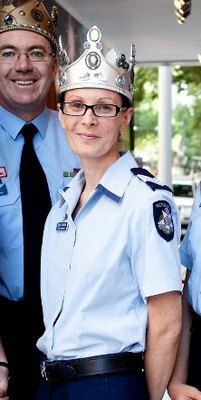 This mother of 3 has volunteered with The Basin Brigade for 15 years and is currently their Community Safety Officer as well as an Operational Volunteer Fire Fighter. 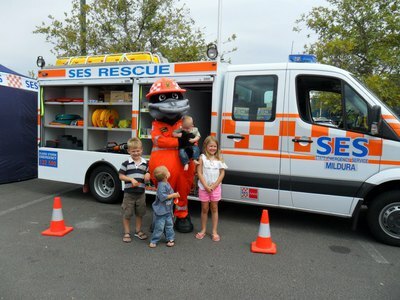 About CFA: CFA is one of the world's largest volunteer and community based fire and emergency services organisations with some 55,000 members. These volunteers work to protect more than 1 million homes and 3.3 million Victorians across the state. 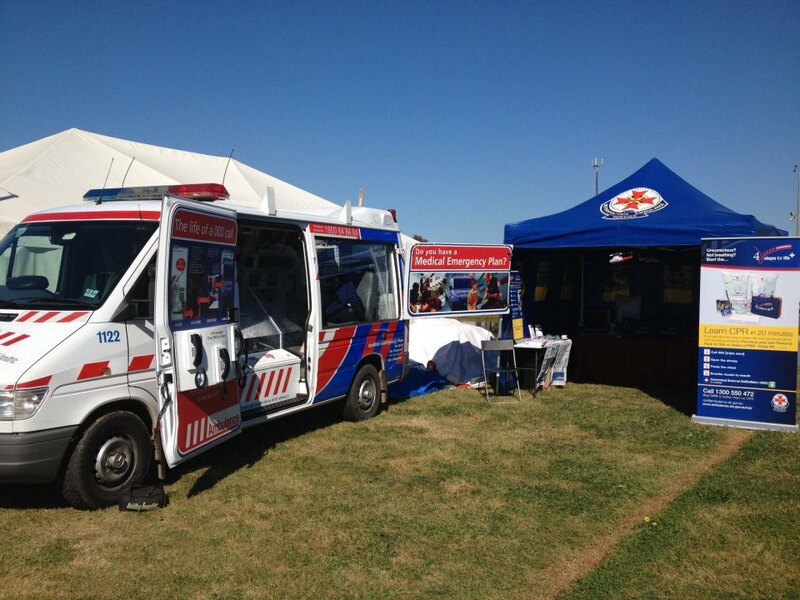 It also cooperates with other emergency services across the state to ensure the safety of all Victorians. For more information on CFA and volunteering in Victoria, check out the Country Fire Authority website. Acting Sergeant Karla Challis is Victoria Police's royal representative and a Queen of Moomba. She has been a regular spectator of Moomba for many years. This mother of 2, aged 4 and 6 has in the police service for 13 years. Karla is currently a Family Violence Advisor, focused on addressing violence against women and driving various initiatives to break the cycle of family violence in Victoria. About Victoria Police: Victoria Police employs more than 16,100 people in the state including police members, public servants, protective services officers, forensic scientists and other specialists. 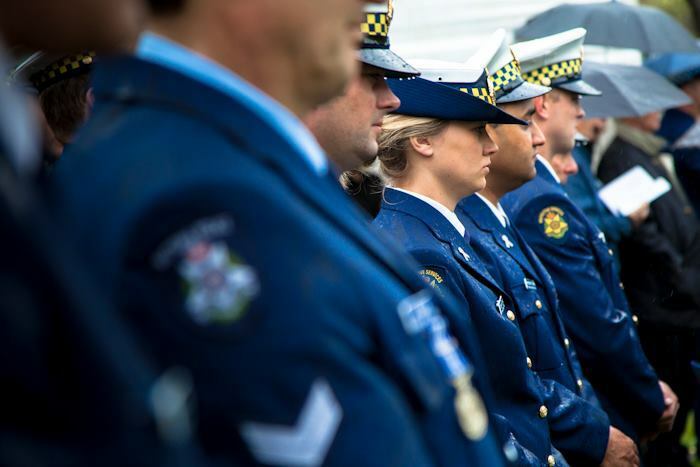 Together these men and women in blue work tirelessly to keep more than 5.7 million Victorians safe and crime off our streets. 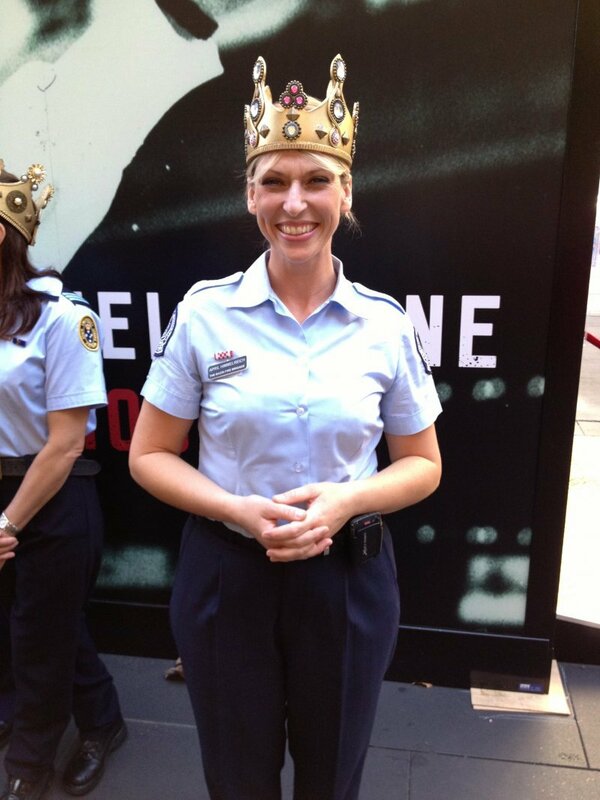 For more information on Victoria Police and donning the uniform, check out the Victoria Police website. The highly awarded royal representative and a King of Moomba from Ambulance Victoria and St John Ambulance is no stranger to Moomba having grown up attending the festival as a volunteer for St John Ambulance. In the course of professional and volunteer career, Alan Eade has received numerous honours including an Australian Ambulance Service Medal (ASM) in the 2009 Australia Day Honours and a Humanitarian Overseas Service Medal for his tenure with the East Timor Ambulance Service. Alan has been serving the community as a MICA Paramedic for 22 years, offering nursing and emergency response services as well as playing an educational role in supporting the development of new staff and graduate paramedics. He is also the current Chief Commissioner for Australia, the Victorian State Emergency Service and the Scout Association of Australia. About Ambulance Victoria and St John Ambulance: Ambulance Victoria has more than 3,000 career employees and almost 1,000 volunteers, with over 220 road ambulance response locations, all primed to provide pre-hospital care and medical transport by road and air in the case of medical emergencies. 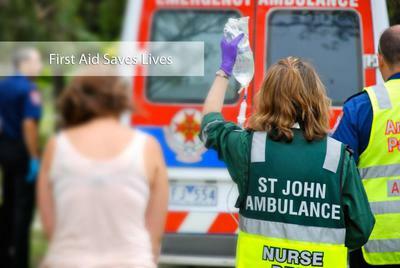 St John Ambulance Australia is a self-funding charitable organisation which has been actively helping people in sickness, distress, suffering or danger in Australia for over 125 years. It provides a range of services including first aid training, first aid kits, first aid services at community and public events and a range of community care services for the aged, the infirm, and the immobile. Check out their respective websites for more information on joining Ambulance Victoria and volunteering at St John Ambulance in Victoria. 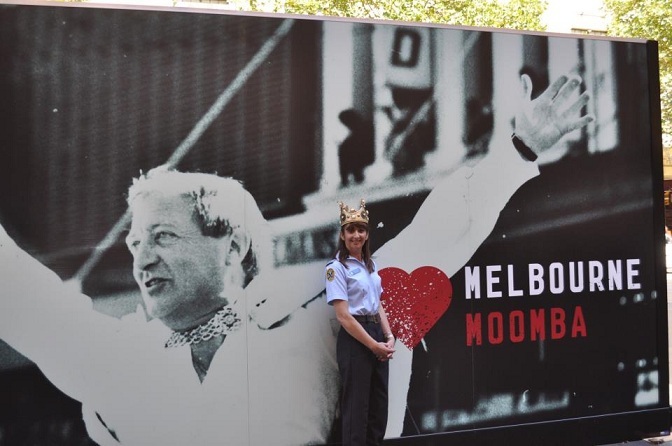 Her love for the Melbourne lifestyle, events and festivals is the icing on the Moomba cake for Stephanie Carr, queen and royal representative of the Land and Fire Management Division of The Department of Sustainability & Environment (DSE). She has provided state-wide training around fire management and fulfilled duties as a general firefighter in the past 9 years with DSE's Land and Fire Management. Stephanie is currently the Community Engagement Facilitator for Fire within the Port Phillip Region where she interacts with the public, other emergency agencies and key stakeholder groups in planning around the DSE Planned Burning Program. This is vital to protecting life, property and the environment by reducing fuel levels, which gives trained firefighters a better chance to control the spread of a fire, and maintaining ecosystem diversity. 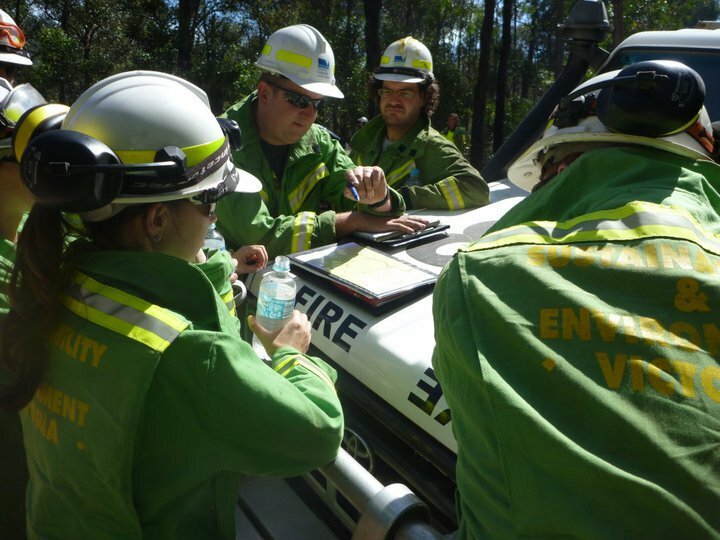 About The Land and Fire Management Division of The Department of Sustainability and Environment: This office manages fire on Victoria's 7.6 million hectares of public land by helping people, the natural environment and fire to co-exist. It's 1,000 strong team works with nearly 2,000 additional and partner agency staff to reduce the risk of fire, contain outbreaks and manage environmental effects in Victoria's parks, forests and other public land. For more information about DSE, kindly check out their website. Moomba King and royal representative of the Metropolitan Fire Brigade (MFB) is a proud Melburnian and enjoys the city's major sporting and cultural events including Moomba even as a child with his family. Scott McGaw has been working with MFB for 5 years as a Leading Fire Fighter and Hazardous Materials Technician responding to a range of emergency incidents in the central Melbourne area, out of the South Melbourne Fire Station. He is also actively involved in organising and participating in running events to raise money for charities through the MFB Charity Running Club. 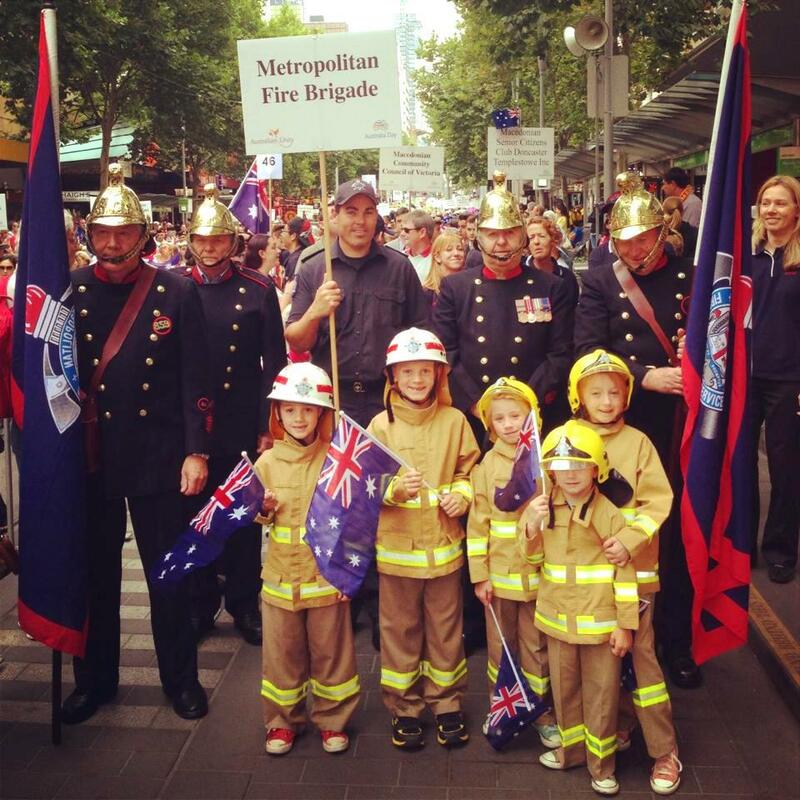 About the Metropolitan Fire Brigade: MFB protects some 4 million Melbourne residents, worker and visitors as well as billions of dollars of assets and infrastructure 24 hours a day, 365 days a year. It prides itself in providing world-class fire and rescue services over more than 1,000 square kilometres. In addition, it plays an active role in the local community by promoting safety and coordinating emergency prevention and preparedness activities. This includes educating the community, conducting building inspections and developing fire safety and emergency plans for major events. 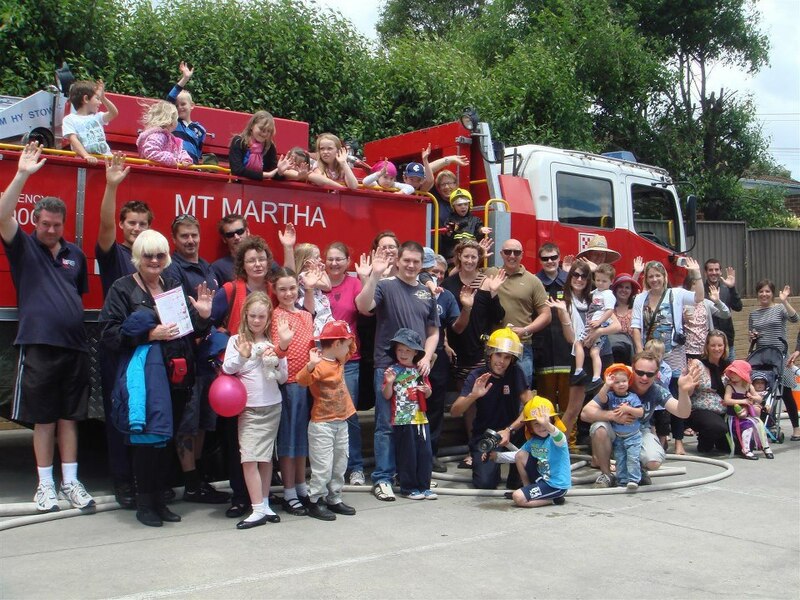 Check out the MFB website for more information about community safety from fire and other emergencies. A lover of all things Moomba, Melbourne and her mother, Sandy Faoro is the Volunteer Queen of Moomba. This royal representative of the Victorian State Emergency Service (SES) has been volunteering with SES for as long as she's been married to husband Remo of 30 years. She has been distributing information on how to prepare for flood and storm emergencies and giving talks regularly to different schools and community groups on the good work of the SES. Sandy is currently the Controller of the Essendon Unit and is active in callout operations. 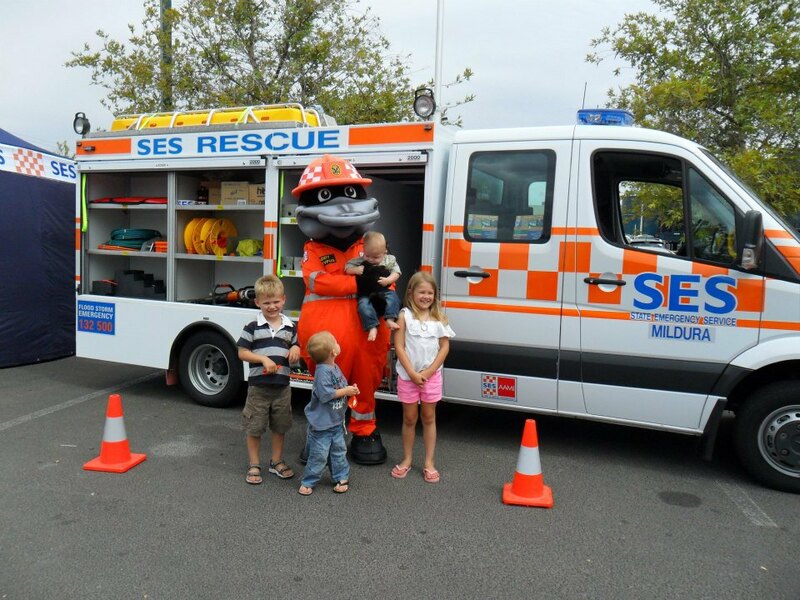 About Victorian State Emergency Service: SES is the largest provider of road crash rescue in Victoria and the control agency for emergency response to flood, storm, earthquake and tsunami in the state. SES also assists the Victoria Police in search and rescue operations, and play an important support role during major bushfire responses. All these critical services and emergency assistance to the community are actually delivered 24 hours a day, seven days a week by a team of 5,500 volunteers. To follow in the footsteps of Sandy, check out the SES website. 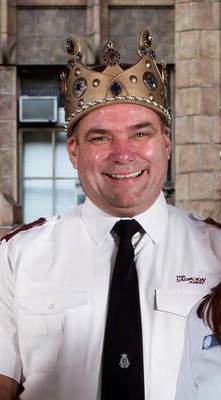 Holder of the 2011 Melbourne Award in the Contribution to Community by an Individual category, Major Brendan Nottle, is a familiar face in Melbourne and a King of Moomba representing the Salvation Army. In addition to overseeing the daily operations of the Salvation Army in the central city, Brendan works across most of the Salvation Army services which offer meals, clothing and counselling to those in need. 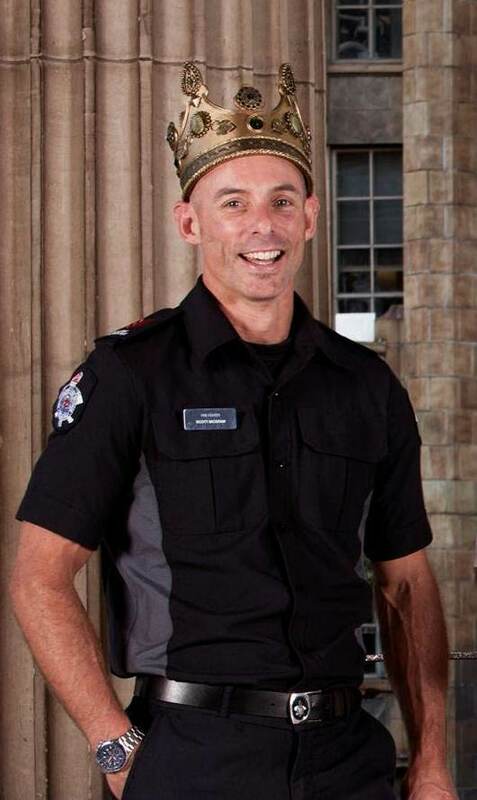 Busy with spreading the message of mutual tolerance and respect across the city through his inaugural 'The Melbourne Way' campaign in February this year, this father of three still manages to find time to serve as Collingwood Football Club's volunteer chaplain. 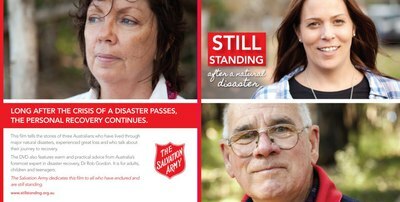 About The Salvation Army: Built on the values of compassion, hope and human dignity, the Salvation Army helps more than 1 million Australians every year with services ranging from the provision of food and shelter to counselling and aged care services. The organisation has almost 24,188 Soldiers (Members) in Australia working to transform lives and offer care to those in need. 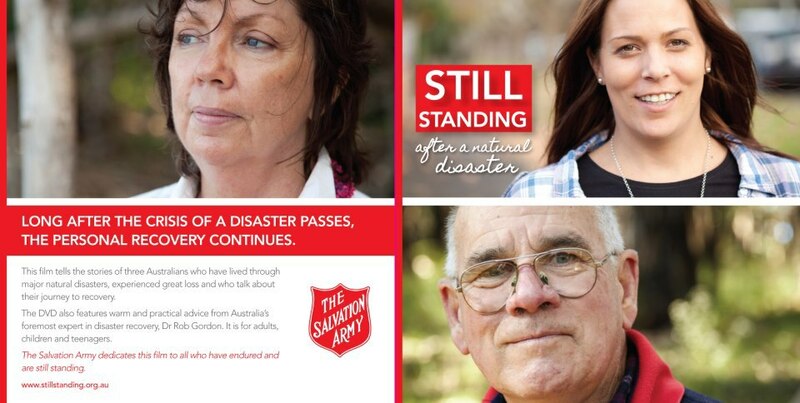 For more information, check out The Salvation Army Australia website.